The power plant for this machine was the Gnôme or Le Rhône rotary rated at 59 kW (80 h.p. ), mounted in the front fuselage (tractor layout) and covered by a horseshoe cowling (open at the bottom). Metal fairings were aft of the cowling. The navigational and piloting aids were few and conformed to the standard of the period. The Nieuport 10 did not feature an instrument panel, with the compass, chronometer, tachometer and altimeter mounted in various places inside the cockpit. Two versions of this model were built. 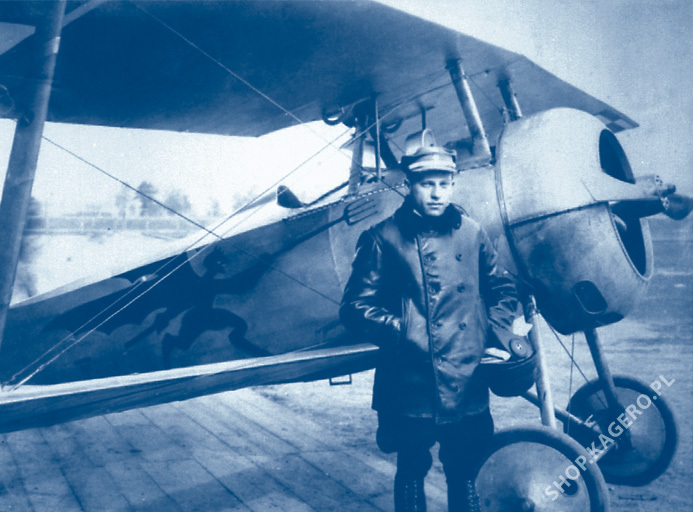 In the Nieuport 10AV, the observer took the front seat, while the pilot the back seat. 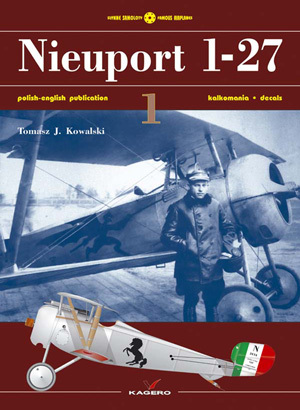 In the Nieuport 10AR it was vice-versa. In the beginning, Nieuports flew unarmed, taking only bombs, whereas the pilot or observer took a pistol or hand gun for defense from a possible enemy. With the course of time, machine guns became standard armament. The attachment of a machine gun was related with the situation of the observer. On the AV version the gun was mounted in the front and there was a cutout in the upper wing through which the gun would fire. In time, the gun began to be installed on the upper wing by means of a special mounting. On the AR version, the gun was mounted in the rear cockpit on the Etévé gun ring, devised by the Nieuport company, which allowed backward and sideward fire. The good flying qualities of the Nieuport 10 allowed its use as a one-seat fighter. The machine gun would be mounted on the upper wing by means of a special mounting so that it was possible to fire it forward or at an upward angle. This kind of mounting, however, proved troublesome when changing ammunition drums of the Lewis machine gun or cartridges of the Hotchkiss gun. The drum – initially containing 36, and later 47 and 96) rounds – could have been emptied at a very fast rate. It had to be changed if fire was to be continued. Either the pilot or the observer had to perform this procedure standing up, which limited him in controlling the aircraft. Italian Nieuport 10s were armed with the Fiat­‑Revelli machine gun, installed on a modified mounting. The Nieuport 10 was not only manufactured in France, but also under license in Great Britain (Breadmore factory in Dalmuir, Scotland), Italy (Nieuport-Macchi factory) and Russia (Duks factory). Nieuport 10s equipped many French, Russian, Belgian and Italian units as well as RNAS squadrons in Britain. They participated in military operations in the Western and Eastern fronts, over the Aegean Sea and the Palestine. The Nieuport 10 bis was fitted with a 75 kW (100-h.p.) Monosoupape engine. It differed from the standard version in that it had additional seven openings in the engine cowling for a better cooling. The aircraft’s performance was not significantly improved. In 1917, the Duks factory assembled a Nieuport 10 bis with 81 kW (110-h.p.) and 88 kW (120-h.p.) Le Rhône engines. These aircraft had bigger cowlings which protruded above the main outline of the fuselage. The use of the Clergent 9B engine rated at 81 kW (110 h.p.) or the Le Rhône at 96 kW (130 h.p.) effected slight constructional changes, thus resulting in the Nieuport 12. This model was not much different from the ’10. Most importantly, it had a more powerful engine, a bigger lifting surface, a cutout in the upper plane for improved upward visibility, a cutout in the wing root section of the lower plane for improved downward visibility. The basic difference between the ’10 and the ’12 was the tubes supporting the upper wing, mounted vertically on the Nieuport 10 and inclined by a few degrees on the Nieuport 12. The armament was identical to that used on the Nieuport 10, except that a Lewis or Vickers fixed machine gun was mounted on the front fuselage with the introduction of the Alkan synchronizing gear. The aircraft manufactured by the Breadmore factory had a vertical stabilizer and a modified rudder outline as well as a closed engine cowling. Apart from the combat versions, both models had unarmed training versions, too. Basically, three versions were in production: N 81 E2, N 80 E2 and N 83 E1. Most often, however, training aircraft were classified by their lifting surface area. Thus, the Nieuport 23 m2 was a two-seater with one or two control sticks, the Nieuport 18 m2 was a single-seater with one control stick. All training Nieuports had rotary engines of various types and rated under 75 kW (100 h.p.) They were often Nieuports 10 and 12 withdrawn from frontline service. The necessity to fight enemy aircraft and protect own ones resulted in the birth of fighter planes. The simplest solution was to adapt the existing types by reduction of the crew members to one and installation of effective combat armament. A single-seat version of the Nieuport 10 was developed somewhat independently in France, Italy and Russia. The common drawback of these versions was their relatively big weight, which, considering the low engine power of 59 kW (80 h.p. ), did not ensure a better performance than that of reconnaissance aircraft.